A train and bus ride see me heading out west to a air pollution monitoring station out on the edge of a small town. 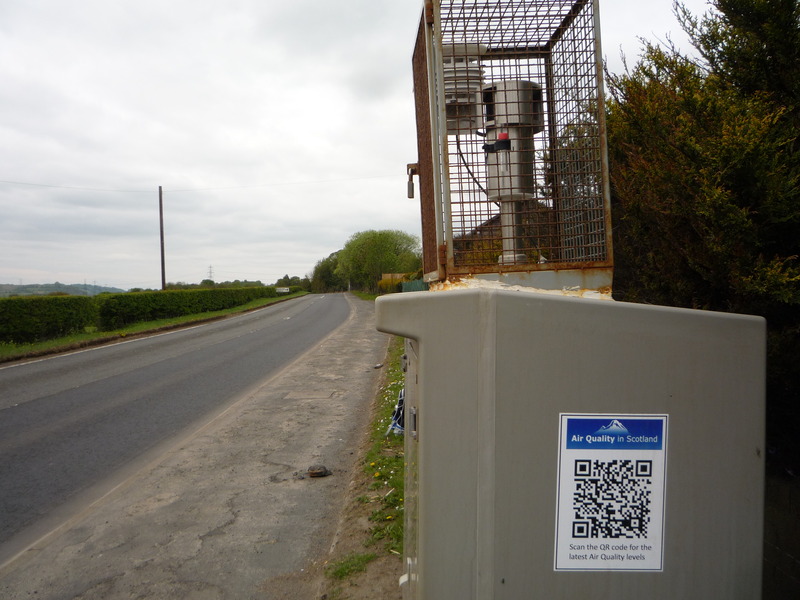 My bus stop is the last before open countryside…I’m helpfully informed by a local resident that the area – Coneypark comes from ‘coney’ the old Scottish name for rabbit. I don’t see any rabbits in my brief visit but plenty of horses in the nearby fields. 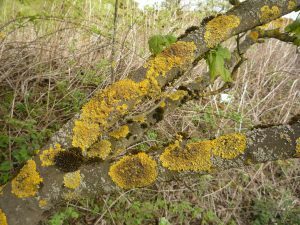 The trees I am to survey are either split trunked by nature or through coppicing and they are laden with lichen species Xanthoria. 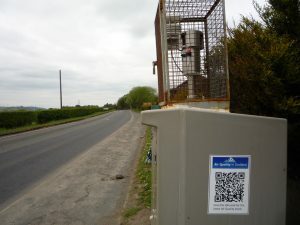 This species has been shown to be highly indicative of nitrogen enrichment – and in this case, with the site positioned on a main road with farms nearby, pollution in the form of nitrogen dioxide (NO2) probably originates from passing motorised vehicles, and nitrogen enrichment in the form of ammonia (NH3) from the nearby agriculture and livestock.